A holiday Super Pack suitable for the entire family. 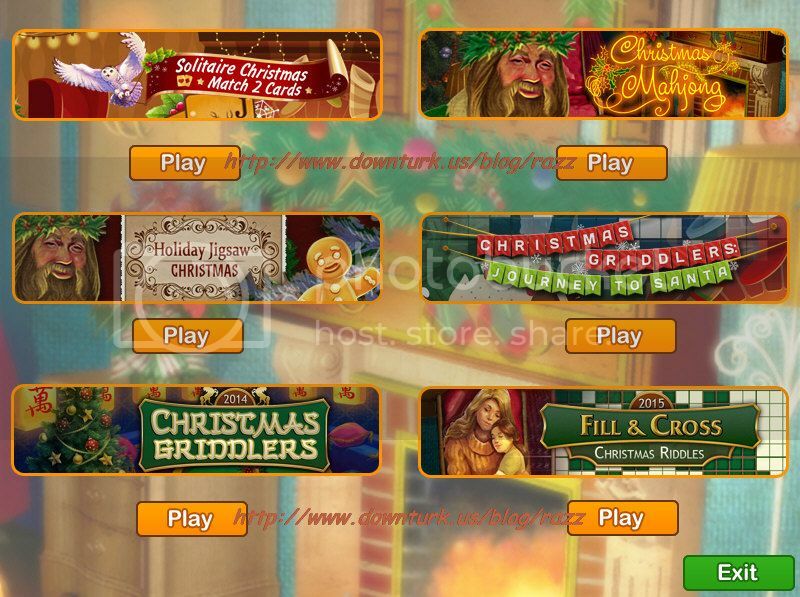 Enjoy six holiday themed games including solitaire, jigsaw puzzles, and logical puzzles. Solitaire Christmas. Match 2 Cards is a holiday card game filled with the joyful spirit of the holidays. The anticipation of Christmas miracles and 120 unique levels form a winning combination for fans of classic solitaire! This game is for people who enjoy Spider Solitaire, Pyramid, Klondike, Free Cell, Crescent, Golf, Addiction, Three Peaks, Yukon, Forty Thieves, Scorpion, Gaps, Canfield, Crazy Quilt, Algerian, Montana, Eight Off, Calculation, and Clock Solitaire. Solitaire Christmas. Match 2 Cards is a fun new twist on traditional solitaire for players who love to try new types of deals! Find and match any 2 cards quickly to increase your winnings! Buy bonuses using the following coins: shuffle, undo last move, and joker. Choose your difficulty level, and maybe even go for Professional, but be warned: this is only for true lovers of solitaire! Let the relaxing music and premium graphics take you away into the wonderful atmosphere of the holidays. Take a holiday from the holidays with this seasonal themed mahjong adventure. Mixing traditional mahjong game play with the festive scenes and locations reflecting the spirit of the season. As you progress through the game you'll earn trophies and access both special golden tiles and wandering tiles to propel your score and onwards towards victory! With over 100 unique levels in varying locations, Christmas Mahjong is more than a game - it's a real holiday! HO HO HO! Unforgettable adventure waits you in Holiday Jigsaw! Start your journey to a Merry Christmas! Santa's coming and this year he's bringing 100 beautiful photos, more than 6 hours of gameplay, unique game modes, saves, trophies and much, much more. Holiday Jigsaw Christmas is a fun, relaxing jigsaw puzzle game that's destined to fill all jigsaw lovers with tons of holiday cheer! Start your jolly adventure with Christmas Griddlers. Cold outside? Don't want to leave the house? Our new game will put you in a perfect holiday mood - 120 new unique griddlers! Have a fun and relaxing time assembling them on your own, with your kids, or even with your whole family! Solve all levels in 6 new different rooms of Santa's house. Get many unusual winter trophies! 120 gifts is better than 1! Merry Christmas and Happy New Year! - Six holiday themed games in one! - Hours of family fun! - It's the most wonderful time of the year! right now I need a lot of downloads for turbobit so I can extend my account before the sale ends. Thank you Razz / Velocity !